American Business Technologies (ABT) offers contingent staffing, direct placement, and managed services throughout North America. We provide flexible, scalable solutions to companies of every size, from small firms needing a few specialists to enterprise accounts that require hundreds or even thousands of contingent workers across numerous skill sets with coordinated account management. At ABT, our success is built on our ability to identify and deliver quality talent. From start-ups to global accounts, clients rely on us for high-touch, consultative service and consistent delivery of qualified workers. Our highly skilled technicians focus on specific skills and industries, so they fully understand the requirements to excel at each position. 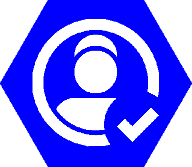 We combine the national reach of our dedicated technicians with the local Customer service expertise and highly qualified dispatch coordinators, to give you access to the best candidate available, regardless of location – because we see every day how the right hire makes a positive impact for our clients. The way people look for work is changing, and the way we connect with candidates is evolving with it. Everything we do contributes to the same goal: make sure our clients have the exceptional employees and efficient processes they need to make their business better.